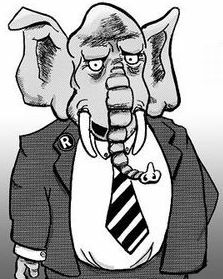 For quite some time, Republicans in Washington State apparently have been doing just that, “casting against type” by retaining Luke Esser as party chair, knowing all along he was not a conservative and at best, was a RINO (Republican in name only). Just now seeing this on facebook, updates will follow as news breaks. “The question is not are we better off. The question is are we as good as we could be?” Wilbur said. Wilbur is right. With the massive results east of the Cascades, we should have seen much better results in Washington State. I can think of at least 2 legislative seats Clark County should have easily taken away, Jim Moeller’s and Tim Probsts’. With Moeller’s Candy and Soda Tax outright rejected in November, he too should have been easily defeated. 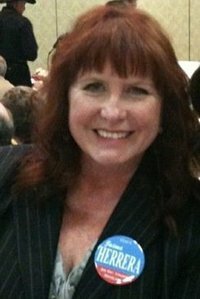 Laura Sample was elected Vice-Chairman of the Washington State Republican Party. Nansen Malin, chair of the Pacific County GOP that was unable to secure a single Republican candidate to run for local office this last election, announced on twitter that she has been elected to the WSRP Executive Board. Esser’s legacy will still be felt. Can the Washington State GOP be Saved? Not grabbing headlines just yet is Americans for Prosperity State Director and radio host Kirby Wilbur announcing his intent to challenge Washington State Republican Party Chairman Luke Esser for the party’s top spot in 2011. A careful review of the general election results this year and comparison to other regions shows that the Republican Party is due for a major shake-up in Washington State and also at several county level parties’.